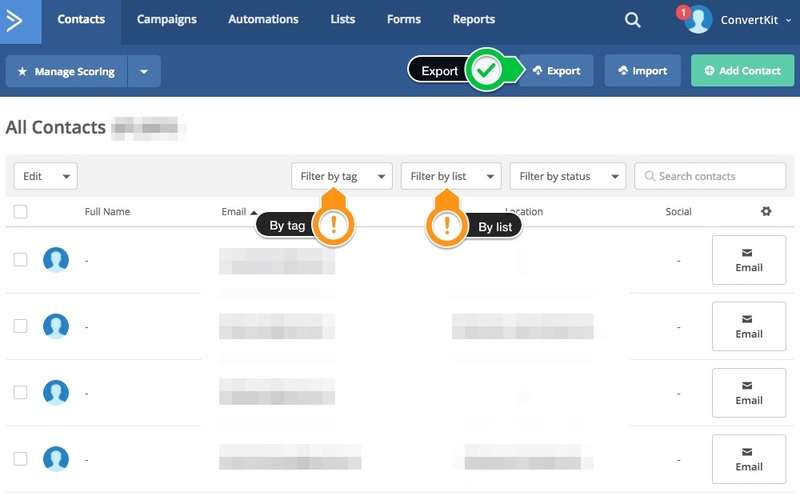 In ActiveCampaign go to Contacts and sort by Tags or by lists. Make a list of each one you want to export. We encourage you to simplify as much as possible and only bring over the Tags and lists you are currently using or sending to. Go to Contacts > Filter by Tag > Export to complete the process. You'll do the same for lists. See image below. 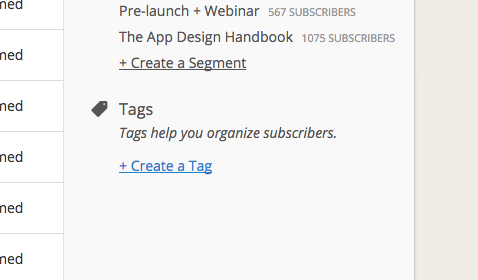 Inside ConvertKit go to Subscribers, then click "+ Create a Tag" in the sidebar. Give your Tag a name (it can match the Tag you just exported from AC). 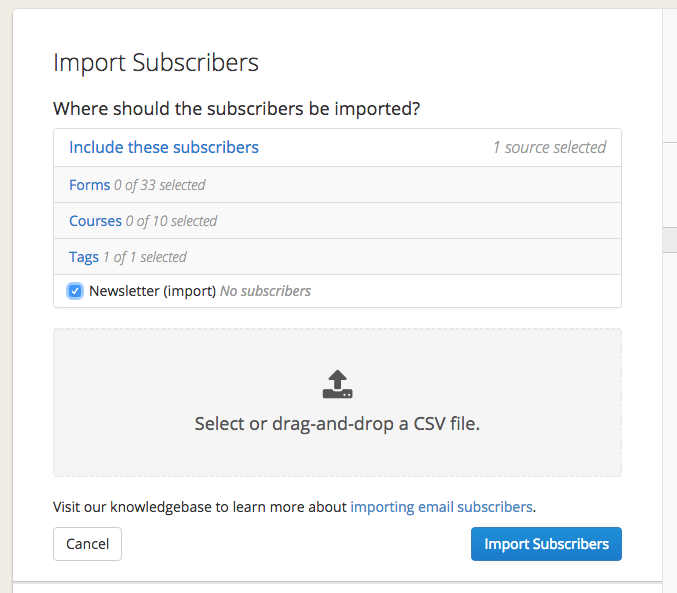 Once your Tag is saved, click "Import Subscribers" in the sidebar. From there, select your CSV you exported (click and browse or drag and drop it into the box). Then select your newly created Tag to import into. Click Import Subscribers and wait. You'll receive an email once the import has finished. But it will usually start within about a minute, so if you refresh the page you'll see the Subscriber count on your Tag start to increase. By default, ConvertKit only imports First Name and Email address. If you want to import additional fields from Active Campaign, you'll need to set up those fields in ConvertKit before import. Here's how! Also don't worry about importing the same Subscriber multiple times (if they were in multiple Tags in ActiveCampaign). ConvertKit will just apply both (or all) of the Tags to that Subscriber and won't create any duplicates. 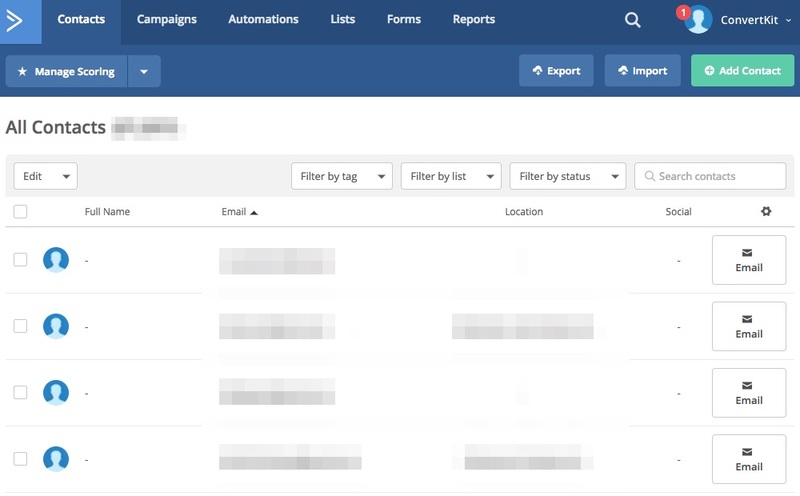 In ActiveCampaign, your automatic emails were called "campaigns". In ConvertKit, we call them "Sequences". Switching those to ConvertKit is simply a matter of copying and pasting the content from one to the other. It can be laborious, but it's straightforward. When you paste the email in to ConvertKit, you may see some boxes around the content. This is a result of ActiveCampaign's formatting differences. Since emails deliver and convert better when they look like emails, you may need to paste the content in section by section. But if it looks clean, it probably is! This is a big one. If you just straight copy-paste your images into ConvertKit, they're actually still pointing to ActiveCampaign. What you want to do instead is download the image to your computer, and then re-upload it directly to ConvertKit. Images in ConvertKit emails look best when they are no wider than 600 pixels (standard email width).